time, our V3 families will save up to 20% on purchases! All-Pro Tactical's battle-tested materials and construction out-performs all others. 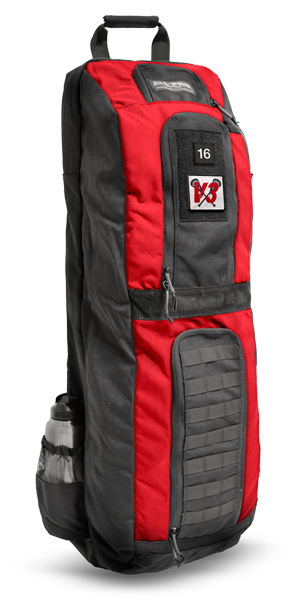 All-Pro Tactical equipment bags are designed and constructed with the same tactical technology that our nation's heroes depend on to carry their mission-critical equipment in the harshest conditions on earth. You depend on your equipment to perform at your best which is why our bags are purpose-built for unprecedented durability and functionality. Built with 1,000 denier CORDURA® fabric and heavy-duty zippers for maximum durability. Front loop panel for attaching logo patches and name/number tapes. MOLLE webbing for attaching All-Pro accessory pouches. Lifetime guarantee on materials and construction. > > > LEARN MORE / ORDER ONLINE!